When considering getting a new pet, your first instinct might be to visit the pet store. If you’re not afraid of shelling out the cash, you might even be tempted to buy directly from a breeder. However, there are some very good reasons you should think twice about going these routes, and why the very first stop on your journey to find the perfect pet might be closer than you think: your local animal shelter. But wait—those animals in shelters are there for a reason, right? There must be something wrong with them—when millions of shelter animals are euthanized each year—or their owners wouldn’t be giving them up…right? Wrong. In fact, most animals end up in shelters through no fault of their own. The sad truth is that most shelter animals are there because their owners were simply unprepared for the responsibility of having a pet. Or the previous owner had a change in their living arrangement due to a job move or a family change, and they may have been forced to surrender their beloved pet to the local shelter. That means their loss can be your gain. 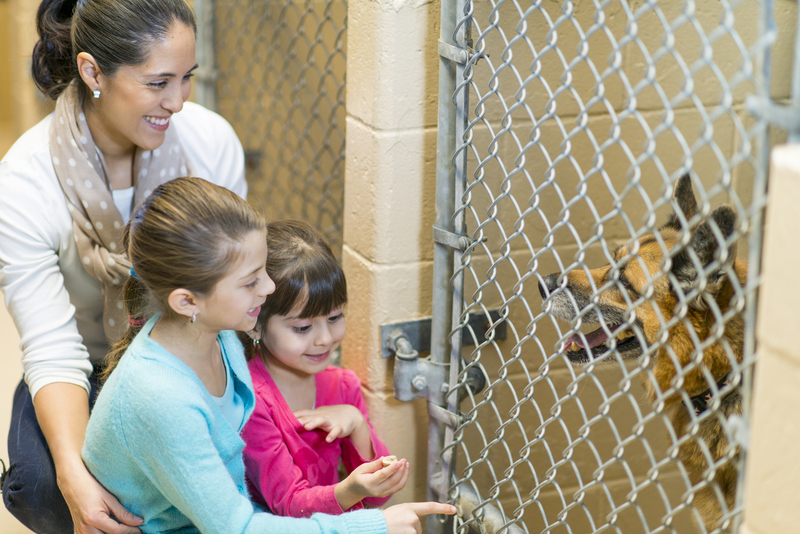 Here are some of the most rewarding things about adopting a shelter pet. Millions of pets end up in shelters every year, and while we all wish it wasn’t the case, the fact is that there simply isn’t enough room to keep them all indefinitely. As a result, three to six million animals are euthanized at shelters each year to make way for more. When you adopt a shelter pet, you’re ensuring that one more innocent animal gets to live a long and happy life. When you buy a pet from a breeder, you might be buying it sight-unseen. Sure, you’ll have seen photos. If you’re lucky, you might have even watched a video of your new little buddy at play. But chances are you’ll choose your pet based solely on their picture and someone else’s description of their personality—a description by someone whose end goal is to sell you an expensive status symbol. There are many reputable and knowledgeable breeders who stand behind their animals, but there are also those who do not. So if you decide to buy from a breeder, do your homework, ask questions and check out their references by talking to other people who have bought from that breeder previously. Even if you choose your pet at a pet store, you’re taking a shot in the dark. When you adopt a pet from a shelter, you can take time to get to know each other before you take on the responsibility of ownership. You are also likely to have a great many animals to choose from. This means you’re more likely to find the pet who’s really right for you, not just the cutest puppy in the litter. When you give your new friend a stable, loving home, he’ll repay you with lifelong love and companionship. And THAT is the biggest reward of all!